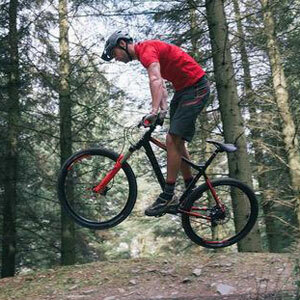 What benefits have users highlighted when reviewing this Carrera Fury High Speed Mountain Bike ? The first thing that stands out in the specification for this bike is the idea of speed. There is the promise that users will find themselves “climbing hills and descending faster than you ever imagined”. This high speed bike has a SRAM NX 1×11 gearing system and a light 7005 aluminium tubing frame so it should slow down. At the same time, there are Avid DB-1 Hydraulic Disc brakes for precise control on stop and improved handling. There are many riders that are impressed with the response of this bike and the light feel, with some suggesting it can handle more than some might assume. There is also the promise with this Carrera mountain bike that it is suitable for anyone because of this handling and security on the trails. It is fast and ready for a tough ride at the hands of more experience mountain bikers, but it has elements and a level of control that is a must for all newcomers. This is partly down to the shock absorbency on the Suntour Raidon XC fork and the tough grip on the Continental X-King tyres. However, there are some that aren’t so sure about the tyres or other elements. What are these upgrades and issues that riders need to watch out for with this Carrera Fury Mountain Bicycle ? The problem with a bike that tries to please everyone is that it often goes further than newcomers expect, but falls short of some expectations from experienced users. There are some keen riders that make a few upgrades to this mtb. Some feel that the seat and handlebars are a little basic and that the grip on the tyres may not be enough come winter. There are also a few negative comments from those that feel that the red colour is a little too vibrant and neon than they expected. Finally, there are some that feel that a little more attention to detail is required on the finishing. Summary: what does all of this mean for a final verdict on this Carrera Fury Bike ? The negative comments for this bike are actually pretty predictable for a cheaper, mid-range model. There are elements where the makers appear to have cut corners to keep the costs down. However, they are mostly in areas where many people would upgrade anyway. There are no safety risks or major performance issues because most of the effort went into that light frame, careful handling and high speed for a great time on the trails. The Carrera bike may not be perfect for experienced users, but it is a great entry-level bike with a lot going for it. 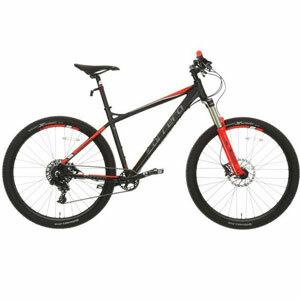 Find more reviews about the Carrera Fury Mountain Bike on Halfords here.